It’s been called the Inconvenient Truth of education, and not without reason. Davis Guggenheim - who directed the 2006 movie about global warming - now takes a similar approach in his latest documentary about our failing educational system, mixing careful reason and statistics with powerful personal emotions to demonstrate how our schools are not only failing both young people and parents, but our society as well. In an age of economic crises, high unemployment and unending foreclosures, one may think that the education system would be the least of our worries. Guggenheim explains, however, how they are intricately linked. There are high-tech employers in this country unable to fill jobs, despite the unemployment level, because they are unable to find enough qualified workers who understand math and science. Our educational system is now ranked less than 40th in the world and is increasingly slipping behind, especially emerging countries such as India and China. The offshoring of jobs is intractably with our educational system’s inability to properly train workers in math, science, reading, and abstract reasoning. The educational crisis is fundamentally an economic crisis, and crisis of America’s ultimate standing in the world. Guggenheim is basically a disillusioned armchair liberal. He opens the movie by explaining how when he made his first documentary a decade ago about the public school system, he was an ardent supporter of the public schools – but when it came to deciding where to send his own children, he’s put them into private schools. Given what he’s about to tell us in the film, that decision makes perfect sense. As a disillusioned liberal, he goes to some pains to explain how teachers unions originated and the good they were designed to do. But make no bones about it, Guggenheim’s ultimate villain in this film is the teachers' union. Because of the concept of “teacher tenure” - which makes it impossible to fire a teacher, no matter how bad a job they do or how egregiously they may treat students – it’s become impossible to ever fire a bad teacher (we’re given examples in the film of teachers slacking off, reading papers instead of teaching, and basically telling six year old kids to piss off when they ask to be taught something. In New York state, the solution they’ve created has been dubbed “the rubber room,” where teachers under suspension are sent – with full pay – to do nothing for up to three years, until they can be reinstated somewhere else. The rubber room costs New York tax payers over $100 million a year to maintain). While one in 95 doctors in something like 1 in 150 lawyers lose their licenses for ethical or job performance reasons, only 1 in 2500 teachers are ever let go. Guggenheim is a much less strident documentarian than Michael More – though he uses similar techniques of animation, background music, and real-life drama, Guggenheim wants to focus on building a solid case and rationale argument that is buttressed by the emotional drama of underprivileged (and suburban) kids trying to essentially “win the lottery” and get into a charter school. What makes Guggenheim ’s arguments convincing is that the charter schools he profiles are clearly doing leagues above our public schools. By creating a culture of success with teachers who have a passion for teaching, they are able to achieve performance ratios far surpassing even our best public schools. The statistics are startling. Over 50% of kids in public schools in underperforming districts will drop out of school before they become sophomores, and only 1 out of 200 will go to college. In the new charter schools in Harlem and East LA, every single kid goes on to not only graduate, but matriculate in college. These are the very same kids going to the public schools, in the very same situations of poverty and single families. The sole difference: teachers who care. Naturally, both kids and their parents have come to understand that these charter schools are their ticket to a future, and the drama of their waiting to be selected by the random lottery is sad and poignant. Most of them will not get in: there are two to ten times as many applicants and spaces available. The indictment is clear: we have the cure not only for these students, but for what ails the country. The cure isn’t money, but common sense. Now if only we had the political ability to implement it. 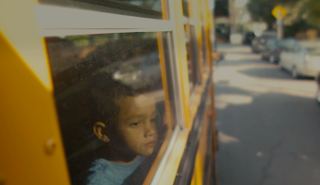 Perhaps most telling in the film is Guggenheim’s profile of Michelle Rhee, the new superintendant of DC schools who took the job with absolutely no background as a principal and no intention of creating a career in the union. Clearly aware of the statistics, she goes about shaking up the system, closing under-performing schools and attempting to strike a deal with the union. She offers the union a choice: give up teacher tenure, and in exchange, she’ll double every teacher’s salary. The union refuses. In glorifying charter schools and excoriating the unions, Guggenheim isn’t taking a “left” or “right” position, and perhaps it’s his still progressive sensibilities that allow him to create such a convincing film. He is arguing not against the unions but in favor of the kids, whose futures depend upon our delivering to them teachers worthy of their potential. The final scenes of kids waiting to hear about their acceptances into the charter schools that could save them from dropping out surely stacks the deck emotionally (and the Superman visual metaphors are particularly weak), but it’s hard to argue that determining which kids will succeed and which will fail purely by the luck of a ping-pong-ball lottery goes against the opportunity that America is supposed to stand for. 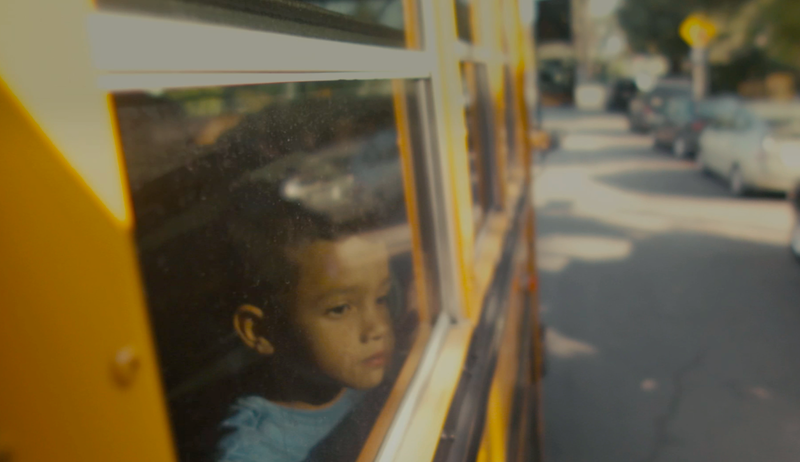 Guggenheim may have stretched the drama a bit to make a point, but his film makes it clear that not only our kids, but our society depends upon reforming the unions and reforming our schools.